AVADirect systems on display power demonstrations at the Diamond Visionics, Lockheed Martin and Boeing booths. 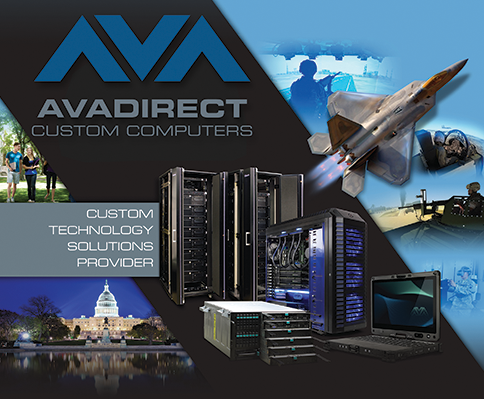 Twinsburg, OH – December 3, 2015 - AVADirect, a leading custom computer manufacturer, has announced that its systems are on display at the 2015 Interservice/Industry Training, Simulation and Education Conference (I/ITSEC). AVADirect has a large presence at this event, the largest modeling, simulation, and training conference and trade show in the world. I/ITSEC brings together all of the large defense contractors, accessory makers, global mapping and several other companies that feed into the real world of simulation. The AVADirect systems on display power simulation demonstrations including those at the AECOM, Diamond Visionics, Lockheed Martin, 3D Perception, Canon, JVC, Boeing, PLW Modelworks and JRM Technologies booths. At booth #2235 an AVADirect custom image generator powers the latest version of Lockheed Martin’s Prepar3D flight simulator. For the past ten years, AVADirect has been attending this event. AVADirect also has previous experience in this field by creating specialized hardware for simulation and modeling systems. AVADirect has created hardware for fellow I/ITSEC exhibitors including but not limited to Lockheed Martin, L-3 Communications, Boeing, and Northrop Grumman.